The Davis Daypack X-Pac from North St. Bags is a built to order backpack for carrying your laptop and other gear. The packs are made to order on the company’s website and come in different colors and sizes. Each bag can be ordered with different sized laptop sleeves, pockets, or waist belts which can attach with velcro inside the enclosure. 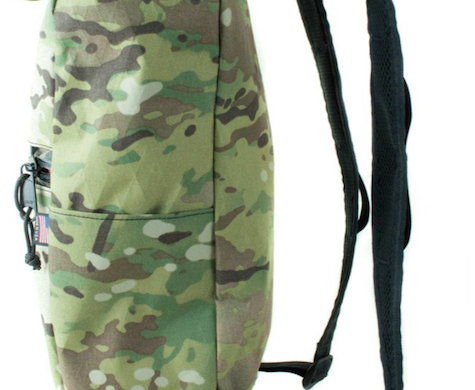 The model I received is the Davis Daypack – X-Pac Camouflage with a 13” Velcro Laptop Sleeve. A 13 inch 2017 MacBook Pro fits nicely into the sleeve, and all the cables and chargers go nicely into the bottom of the bag. The front pouch is the only built in pocket. 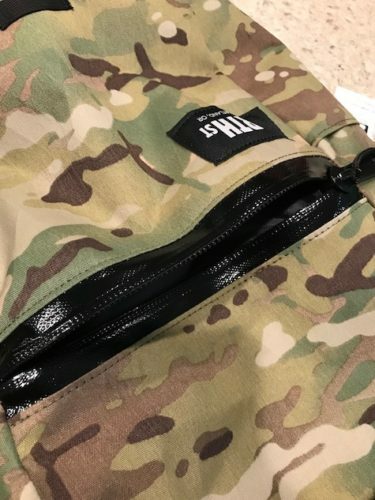 The other pockets are optional and come in difference sizes and attach with velcro to the inside of the bag. I would like to have had another built in pocket on the inside, but it’s not a deal breaker. 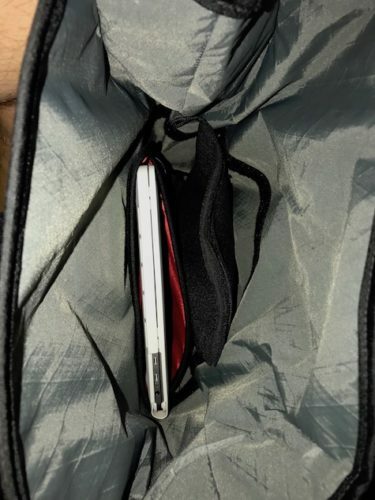 The front pocket holds all the smaller items you may need including pens and USB flash drives. 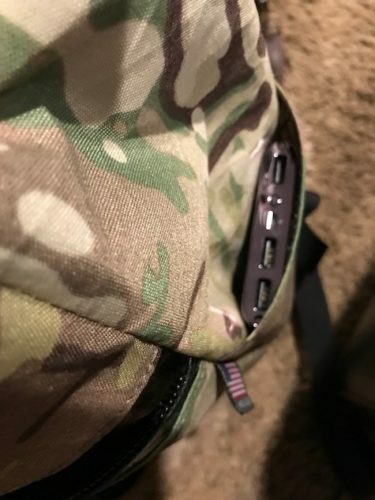 There are also two side pockets that are great for holding things like external batteries, portable hard drives, or anything around that size. I put a portable battery and a couple of screen cleaners in there. What’s really impressive is the internal size of the pack while staying fairly compact on the outside. The top section rolls down and locks in place by an adjustable buckle. With Davis Daypack X-Pac open, there is more than enough room for everything you will need. When it’s closed, this pack is easy to carry around. 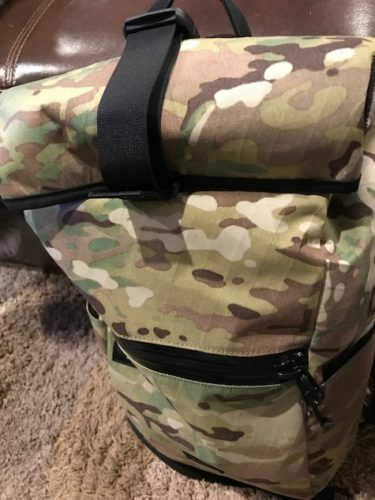 Add in the fact that it’s waterproof and has a lifetime guarantee, and this is a great way to hold and transport your gear for a very long time. MyMac Review Rating is 7 out of 10, and our rating would have been a little higher if it had some more pockets.